Guanacaste, in Costa Rica's Northwest Pacific Coast region, is the perfect central point from which to explore Costa Rica's diversity. The natural setting is casual, secure and unassuming. And the local "Ticos" are warm, friendly and eager to share the bounty of the Guanacaste province with visitors. Bird-watching, exhilarating zip-line canopy tours, excellent diving and water sports and exceptional hotels all combine to make Guanacaste a perfect vacation choice. 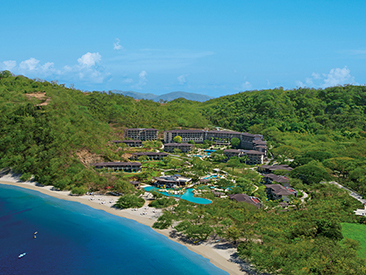 From crushed pink shells to salt-and-pepper volcanic sand, the beaches are as diverse as the nearby eco-adventures. 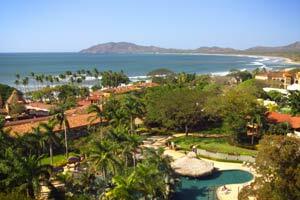 Visit the popular resort town of Tamarindo with its great surf and white-sand beaches for browsing and souvenir shopping. From panoramic rolling savannahs to bubbling hot springs and remarkable beaches, visitors of all ages will experience a vacation like no other in Costa Rica's popular Guanacaste region. Important Note: HOLY WEEK is an important religious holiday in Costa Rica. During late March to early April, certain activities operated by local independent tour companies may not be available. In addition, alcoholic beverages may not be available at your resort or at establishments outside the resort. 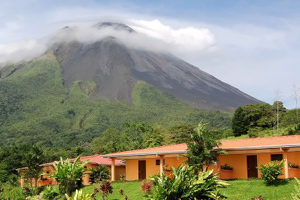 Arenal - Family-friendly hotel with tons of local character features main pool with swim-up bar and water slides, smaller pool for kids with volcano fountain, spa, restaurant and great volcano views. Located 3.5 hrs. from LIR in Liberia, Guanacaste; and 3 hrs. from SJO Int'l Airport in San Jose..
Guanacaste - The value-packed beachfront Tamarindo Diria offers an enviable location in the heart of the eclectic village of Tamarindo, world-renowned surfing capital and ideal for exploring nearby eco-sites. Daily breakfast buffet included. Located 50 mins. from LIR Int'l Airport; 4 hrs. from SJO Int'l Airport. 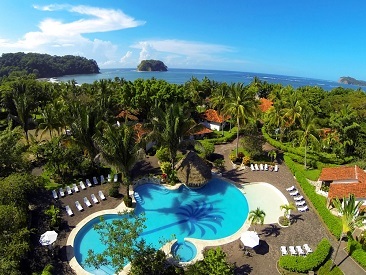 Guanacaste - The all-inclusive Villas Sol Hotel and Beach Resort is a perfect casual vacation destination for couples and families with children. Rooms are set amidst a hillside landscape with ocean views. Located 4 hrs. from SJO Int'l Airport; 25 mins. from LIR Int'l Airport. 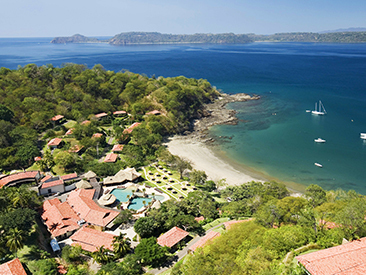 Puntarenas - Located in the Central Pacific region along the Gulf of Nicoya, this comfortable all-inclusive family-friendly resort is nestled on a beautiful and unusual volcanic black-sand beach and is surrounded by exotic forest and foliage. Located 90 mins. from SJO in San Jose; 2 hrs. from LIR in Liberia, Guanacaste. 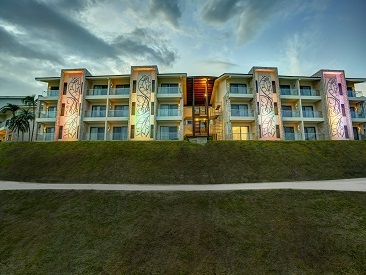 The all-inclusive Hotel Villas Playa Sàmara offers guests of all ages the peaceful ambiance only the Costa Rican rainforest can provide with just the right dose of adventure and adrenaline. 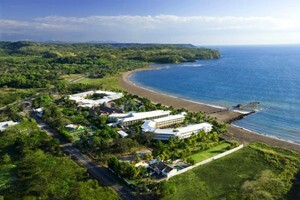 This unique, beachfront resort is located in Playa Samara Guanacaste, just 98 km from the Liberia International Airport and 3.5 hours from the Juan Santa Maria Airport on a fully paved road. With 122 deluxe rooms, 1, 2 and 3 bedroom villas, a magnificent pool and a spectacular 7 km of white sand beach, guests are sure to have a dream getaway. Samara Beach is also recognized as one of Costa Rica’s safest beaches and was awarded by the Costa Rican beach protection agency with the Blue Flag award in 2009. Samara Beach is protected by its beautiful island and coral reef barrier. 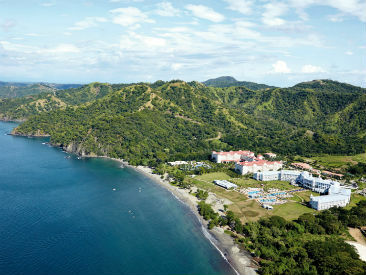 The all-inclusive Riu Guanacaste Hotel is situated on a picturesque Matapalo Beach on the north Pacific coast and features a world-class spa, an on-site casino, a variety of dining options, a children's club and a host of leisure activity and eco-excursion opportunities. Closest airport: LIR Int'l - 20 miles. 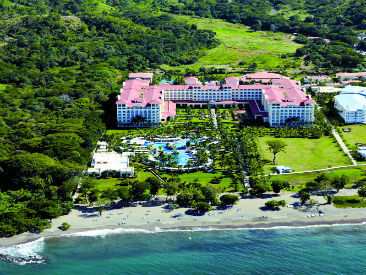 Guanacaste- The luxurious, all-inclusive Riu Palace Costa Rica Hotel is situated on a picturesque Matapalo Beach on the north Pacific coast and features a world-class spa, an on-site casino, a variety of dining options, a children's club and a host of leisure activities and Eco-excursion opportunities. Closest airport: LIR Int'l - 20 miles. Arenal - Award-winning resort features a world-class Spa with natural hot springs and mineral rivers, two pools, fitness center and Yoga studio and open-air dining options within a rainforest landscape. Located 3.5 hrs. from LIR Int'l Airport in Liberia, Guanacaste; and 3 hrs. from SJO Int'l Airport in San Jose. 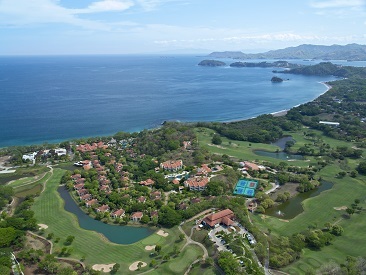 Guanacaste - The exclusive all-inclusive beachfront Westin Golf Resort & Spa, Playa Conchal offers luxury suite accommodations, a beautiful freeform pool area, 24 hour room service, a luxury spa and a world of leisure activity and eco-excursion opportunities. Closest airport: LIR Int'l - 36 miles. 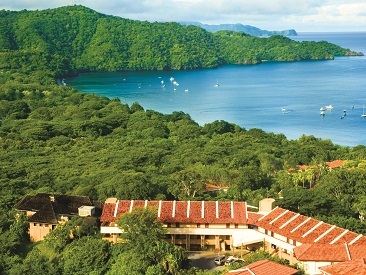 Guanacaste - Secrets Papagayo Costa Rica is an adults-only, beachfront hotel located on the exclusive Gulf of Papagayo in the Guanacaste region of northwestern Costa Rica. Surrounded by National Parks, beautiful beaches and vibrant local life, guests can enjoy everything Costa Rica has to offer! 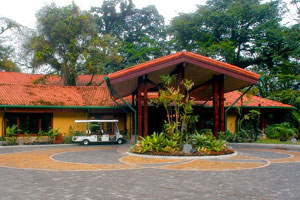 Arenal - Arenal Nayara Hotel and Gardens is located close to Arenal Volcano and features a spa quality pool with 3 Jacuzzis and a swim-up bar, a full service spa and an excellent restaurant. 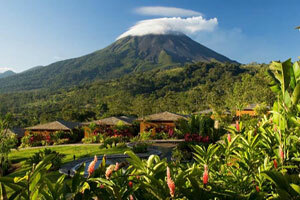 Spacious casita accommodations offer privacy, outdoor showers and volcano view. Located 3 hrs. from SJO Int'l Airport in San Jose; 4 hrs. from LIR Int'l Airport in Liberia, Guanacaste.